Layton Williams will play the role of Jamie New, and he is joined by Shane Richie as Hugo/Loco Chanelle, Hayley Tamaddon as Miss Hedge and Sabrina Sandhu as Pritti Pasha. Everybody’s Talking About Jamie opened at the Sheffield Crucible in 2017 and is now playing at the Apollo Theatre in the West End. 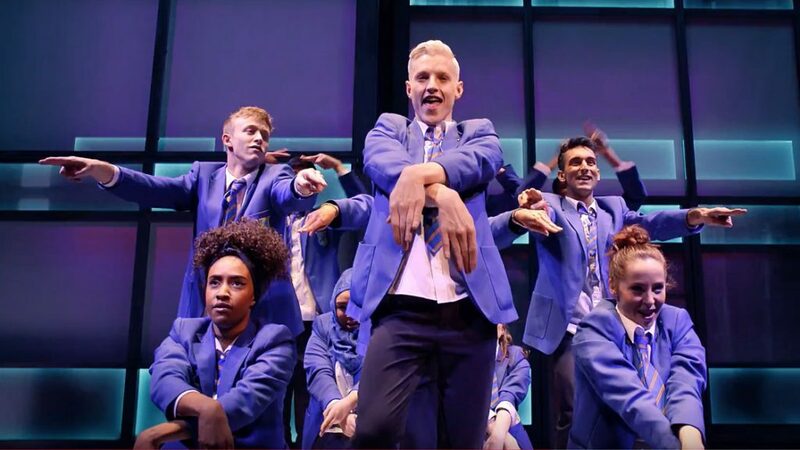 As well as receiving 5-star reviews, Everybody’s Talking About Jamie has won 7 major theatre awards, including the UK Theatre and What’s On Stage Awards for Best New Musical and the Attitude Culture Award 2017, and was nominated for 5 Olivier Awards. It won the Event Cinema Campaign of the Year at the Screen Awards 2018. New cast include Marlon G Day (Dad), Momar Diagne, Zahra Jones (Becca), Sejal Keshwala (Ray), Luke Latchman (Sayid), Rachel Price(Swing), Biancha Szynal (Swing), Adam Taylor (Swing) and Ziggy Tyler Taylor(Levi). Continuing with the show are current cast members: Alex Anstey (Laika Virgin), Luke Baker (Dean Paxton), Courtney Bowman (Fatimah), Marvyn Charles (Swing), James Gillan (Tray Sophisticay), Ryan Hughes (Mickey), Daniel Jacob (Sandra Bollock), Melissa Jacques, Emily Kenwright (Vicki), Jordan Laviniere (Cy) Rebecca McKinnis (Margaret New), and Harriet Payne (Bex). BOOK TICKETS currently booking until 28 September 2019.